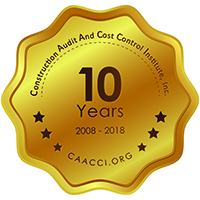 Construction Fraud: Detection, Prevention & Response, In-house - The Construction Audit and Cost Control Institute, Inc.
Attendees will learn how to prevent wrongdoing, build fraud detection into routine audit and management practices as well as how to respond when fraud surfaces. This course includes fraud case examples, exposures and symptoms of occurrence. Special attention will be paid to addressing kickbacks and bid rigging, price fixing, billing fraud and non-performance, bribery and corruption. 1. Examples of construction fraud and the impact on owners. 2. Common mistakes and errors and how to avoid them. 4. How to build detection into routine management and audit practices. 5. A practical approach to using behavioral red flags of construction fraud. 6. Effective data analysis techniques to detect fraud. 7. How fraud is reflected in bidding, awarding work, billing and performance. 8. Indicators of bribery and methods to surface kickbacks. 9. Ways contractors beat bidding. 10. The role gifts and entertainment play in encouraging corruption. 11. 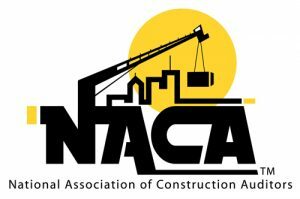 What to do when construction fraud is suspected. 12. Ways to overcome roadblocks to investigations. 13. Nine elements of effective investigative response. Do you want to detect construction-related fraud, including kickbacks, bid rigging, payroll fraud, product substitution, and pay to play? Do you want full management support for the most politically difficult fraud? Auditors, investigators, project managers and others have found this course to be eye opening.